Last night after I put Ambrose to bed, I heard him in his room and found him with the light on. After he's been tucked in, that totally doesn't fly. 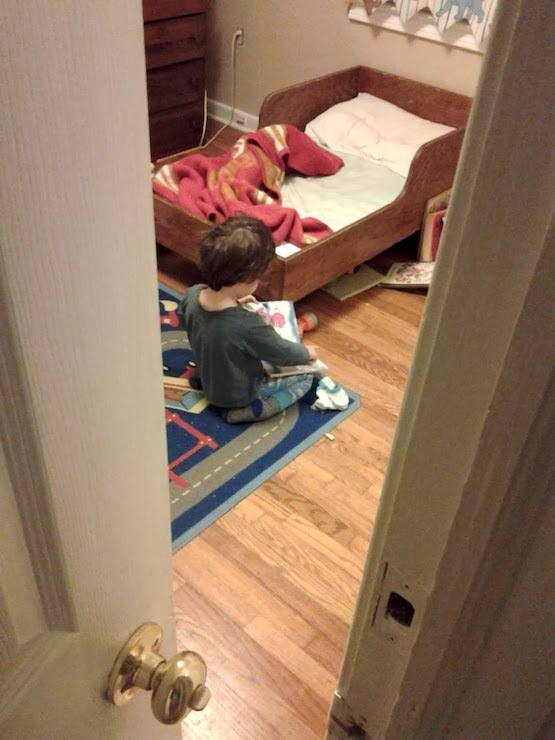 He was in bed looking at a book. I made him lie down and I turned the light back off. Then this morning, I was up at 6:15 getting ready for school when I heard sounds coming from his room. He was awake, had turned on his light and was back in the same book. He amazes me sometimes. So determined!